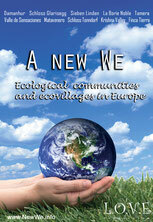 What the film A New We shows and demonstrates is that there is not just one way to live in a community or in an eco-village, but there are many ways. Thus each of us has to find out for him or herself what the individual needs are and which eco-village model serves these needs best. 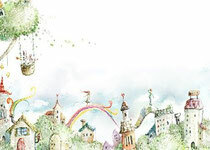 The range of the modern term "community" is big and it goes from an income-sharing commune, to a student-flat or co-housing project, all the way to a modern eco-village. All of those have community characeristics and have benefits, as well as certain disadvantages. After seeing all of this variety of communities and eco-villages during the making of A New We, what is my personal ideal eco-village? On the other hand there is the village center as a "community-playground" which is owned by all members(likely through an association) and where the advantages of community-life are being explored and experienced. Here you have community buildings and materials, like a common washing-machine, beamer for presentations and films, activity-hall, everything free-shop, etc. You can join common activities like yoga, presentation, etc...or just have a chat with other people. There are no fixed common shared meals(but can happen if organised by people who wish so), but rather spontanious coming togethers for food e.g. Picnic in the grass. Cars are outside of the settlement and there is an organised car-sharing-circle. What holds the people in this eco-village together is their common shared values and bright visions and aspirations for the entire creation. Love for all is the basic principle and motivation shared by those people. The people in my ideal settlement just agreed to a general standard of arrangements like "only organic farming, respect and care for all living beings, etc..." Thus the people enjoy great freedom and individuality, while experiencing the joy of having like-minded neighbours and friends around with whom they can share, interact and have various projects. 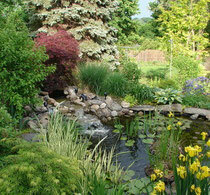 At your own space you can create a paradise oasis in cooperation with the diverse plants, animals and insects. A big variety of fruit and nut trees, berry-bushes, vegetables, mushrooms, herbs, flowers and other plants make your life shiny and give abundance. Everything in this space of love will serve and love you and your beloved ones, from the smallest flowers and grasses to the biggest trees thereon. It is the perfect place for your ongoing self-realization and for becoming the best you can be. Of course there are also disadvantages in my ideal eco-village. One is that you might need more money because you will purchase/use a bigger piece of land. Another is that the sharing of resources is limited to a certain extend. E.g. it would be much more cost-efficient and environmental friendly to live in one big house as a commune and share one toilet, bathroom, kitchen, etc... however this disadvantage can be compensated due to the very simple lifestyle of the various people in this settlement. And as mentioned above there is still a significant amount of resources which can be shared in the village. around 10 ha of land. common shared values: "peacefood"***, sustainability, spiritual growth, Ahimsa, etc. other shared values: thriving for peacefood-self-sufficiency, nature-close lifestyle, etc. 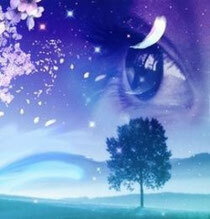 *Space of love is a term described in the books of Vladimir Megre in the ringing cedars series. It refers to a space where a family has created a so called family-domain – a place which is a self-sufficient aiming paradise garden with a house and provides for all the needs of the adults and children thereon. It also supports them in the unfolding of the tremendous potential which lies in human beings. The space of love is the material, outer extension and expression of the internal spiritual self. ** That does not mean if they would leave the village that they could sell the land to anybody, but instead the members of the village need to agree to the new person who wants to buy the land and live there. You are describing just the most simple base for living, the food level. Have you ever been living in a community for a longer time? How did you solve problems? etc. I have experienced the conflicts/problems which you probably also have experienced.There are many ways to solve problems, for example,the circle way of Manitonquat, NVC, etc. To me, experiencing the various community forms made me become more aware and clear of what kind of life i want, and i'm grateful for these experiences. The ringing cedar series helped a lot also :) and now i'm on my path to live my vision. That is exactly what I am looking to find.. I really hope I find a place like this soon that fits me. If anyone has some suggestions, they will be very appreciated..